Brighten up your interior with this elegant wall art. 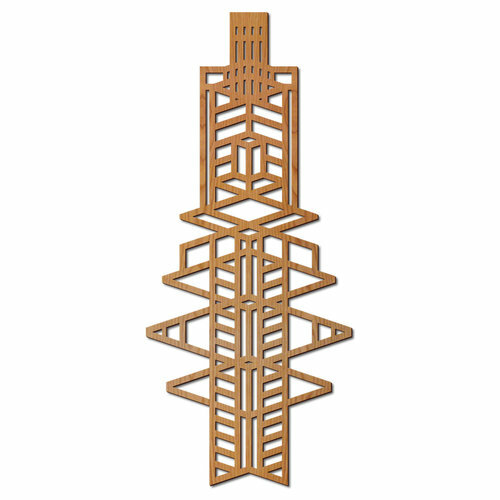 This piece is adapted from one of the art glass windows in the Frederick C. Robie House, a dramatic Prairie style structure designed by Wright in 1908. Cherry wood veneer over an eco-friendly MDF core with a keyhole cut in the back for easy hanging. Made in the USA.